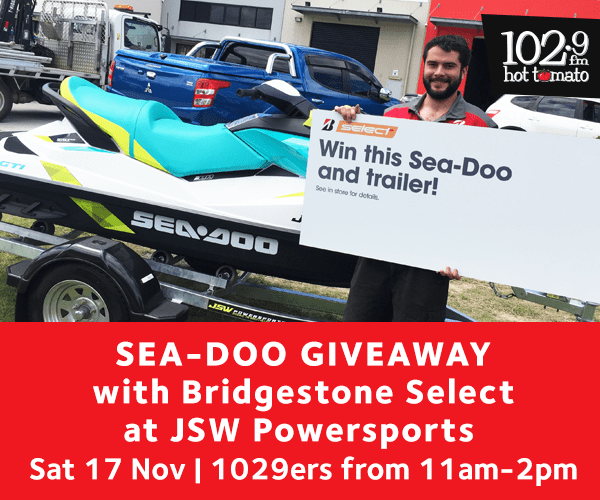 Our mates at Bridgestone Select are drawing a winner for the brand new SEA-DOO this Saturday 17 November, just in time for summer. 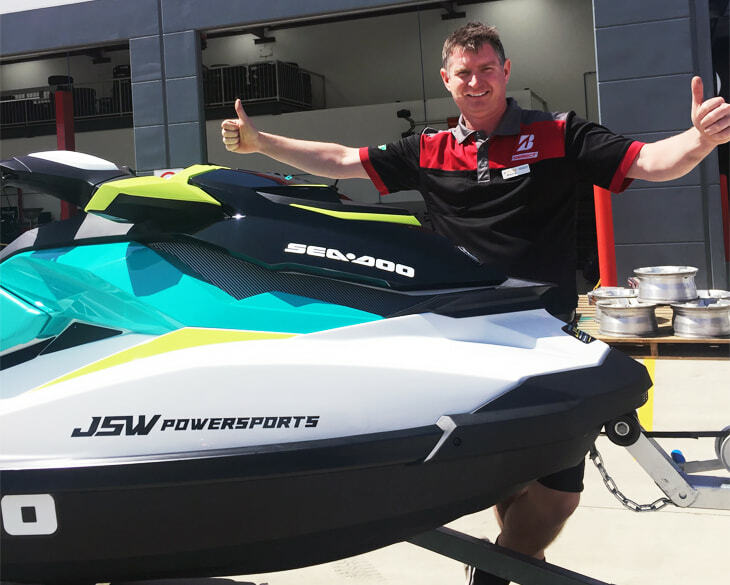 The BRAND NEW SEA-DOO will be given away this Saturday between 11am and 2pm at JSW Powersports with 1029 Hot Tomato broadcasting live. There will be Bridgestone vouchers, JSW Powersports vouchers & Hot Tomato giveaways on the day! Plus a balloon twister to entertain the kids. Bridgestone Select is number one when it comes to tyres, servicing and mechanical needs for your on-road vehicle.